Shalom. Our teaching this morning is from Exodus 34.8-12, but first we will start by reading verses 6 and 7. Moses again went up to the top of Mt. Sinai to present himself to The LORD. This is the third time Moses ascended to the top of the 7,500 foot mountain to be with GOD. The first time GOD called him up to the mountain for 40 days and nights was to give Moses instructions to build the Tabernacle. The second time Moses went up was to ask The LORD to forgive the People for making the golden calf of which they said, This is your god O Israel. And The LORD answered Moses, Whosoever has sinned against Me, him will I blot out of My Book of Life. Sin is breaking The Law of Moses. 1John 3.4. This is now the third time Moses has gone up to Mt. Sinai to be with The LORD. GOD told Moses to carve two tables of stone like the first that he broke in great anger when he saw the golden calf and the great sin of the people. And GOD said, He would again write on the two tables of stone the Ten Commandments. Let’s start our study by quickly reviewing Verses 6 and 7. This is the way of The LORD, the character and attributes of The LORD GOD Almighty. Merciful, gracious, longsuffering, and abundant in goodness and truth. Keeping mercy to thousands, forgiving iniquity and transgression and sin. And that will by no means clear the guilty, GOD said, for GOD will visit the iniquity of the fathers upon the children, and upon the children’s children unto the third and fourth generation. How do we prevent GOD from punishing us for the sins of our fathers, and our own sins? Sin is breaking GOD’s Laws that are written in The Law of Moses. 1 John 3.4. First, we must believe in Messiah Yeshua for atonement, for deliverance and forgiveness of our sins. It is written in Acts 2.21, “Whosoever shall call on The Name of The LORD, Yeshua The Messiah, shall be delivered”. Believing in the Messiah Yeshua delivers us of all our sins. Second, you must Repent. Turn from all your sins that you have committed by breaking GOD’s Laws that are written in The Law of Moses. And turn to GOD and live by His Laws that are written in The Law of Moses, doing that which is lawful and right. This is the Biblical way for Salvation and blessings. And that is Biblical Repentance. GOD only keeps mercy for thousands of people (verse 7) because so few obey His Commandments. GOD”S Commandments are HIS Laws that are written in The Law of Moses. The Hebrew word for worship is SHAH’KHAH meaning to honor GOD with deep respect and awe. Having an inner feeling of great admiration and fear. Even bowing our head or kneeling, or lying flat. And serving GOD with all our heart, honoring Him by living according to every word He speaks. That is worshipping and honoring GOD. Deuteronomy 8.3, Luke 4.4. The fear of The LORD will cause you to obey GOD by keeping His Laws that are written in The Law of Moses. Rather than disobeying GOD by doing what most Bible teachers teach, who disrespect GOD by teaching disobedience to His Laws written in The Law of Moses. And disobedience to GOD is contempt of GOD, even hatred of GOD. Fear in Hebrew is YEE’RAH meaning fear, being afraid of GOD, having dreadful awe of GOD, and reverence or deep respect for GOD. And by fearing GOD, you will obey every word He speaks. Do what GOD requires of you. Have faith in Messiah Yeshua. That delivers you of your sins. Then obey GOD’s Law of Moses with fear and trembling. That will cause you to continue to obey GOD’s Laws forever. That is required, and pleasing to GOD. That is Biblical Salvation. Moses said to The LORD, “If now I have found grace in Your sight O LORD”. Grace in Hebrew is KHAYNE meaning love, and kindness and being accepted by GOD. And Moses said to The LORD, “Please let My LORD go among us, for it is a stiffnecked people, and pardon our iniquity, and our sin (for making the golden calf), and take us for Your inheritance”. Take us, the children of Israel, for Your inheritance, Moses said to GOD. What does that mean? Inheritance in Hebrew is NAH’KHAL meaning to inherit, or take as a heritage, a possession. According to Webster’s Dictionary, an inheritance is a heritage, something that belongs to someone by reason of birth, to be his or her very own. GOD brought forth the birth of the Jewish people, the Children of Israel, by taking Abraham out from the Gentiles to make of him the great nation Israel through Abraham, Isaac, and Jacob. Genesis 12.1-3. An inheritance among them that are sanctified are those who are Holy by faith in Messiah Yeshua, and who Obey The LORD their GOD and His Laws that are written in The Law of Moses. Thus you have an inheritance WITH GOD’s Chosen People, His very own People. And that is eternal life. GOD’s very own inheritance, the Children of Israel had just committed a great sin, making the golden calf, and calling it, your god O Israel. Idols are sin, violating GOD’s Law that is written in The Law of Moses. Exodus 20.4. But Moses knowing GOD’s generosity and forgiving nature, agreed with GOD that the Children of Israel were a stiffnecked people. But yet, Moses knowing GOD’s lovingkindness, asked The LORD to pardon our iniquity and our sin, and take us for Your inheritance, Your very own people. Reestablish Israel as Your very own. And The LORD revealed His loving way and forgiveness by leading the people to the promised land, defeating her enemies, never casting away His people whom He foreknew. Even though GOD loves the Jewish people with an everlasting love, Jeremiah 31.3, His very own inheritance, He still punishes us for not obeying Him by not obeying His Laws written in The Law of Moses. And GOD punishes Nations, and Gentiles, and Religious People who do not, and will not obey HIS Laws written in The Law of Moses. But those who Turn to GOD with a new heart, and a new spirit that GOD gives them when they have faith in Messiah Yeshua, Jeremiah 31.31-34, and walk in His statutes and laws, and do them, GOD will be gracious and forgiving to them also. And they will be His people, and He will be their GOD. EZEKIEL 36.26-28. A Covenant made by GOD is a promise, or a commitment, even a contract with Israel, and often with all mankind. And this Covenant of Verse 10 speaks of marvels that GOD will do before the Children of Israel that have not been done in all the earth, nor in any nation. Here are just some of those marvels that GOD did before His people. There are Covenants that GOD makes with Israel that apply to all mankind. The LORD commits to do something, and the people are required on their behalf to do something. Usually obey GOD’s Laws that are written in The Law of Moses. GOD’s Covenant or commitment to Israel here is to drive out the peoples who inhabited the land of Canaan. And GOD did drive them out, and Canaan became the land of Israel 3,400 years ago. And GOD required the Children of Israel to obey that which GOD commanded them to do. Every Commandment and Law GOD has given to Israel Apply to all mankind. That is why The Bible is written to the world, and for the world, and not just to the Jewish People. And the following verses of Scripture are GOD’s Commandments to Israel and all mankind. Yet very few people obey GOD, and that is why GOD only keeps mercy to thousands. Verse 7. GOD warned His People against aligning themselves in any way with the Canaanite people because it will become a snare or a trap for them in The Land. They will be tricked unawares if they align themselves with the Canaanite people. And that, GOD warned them, will lead them away from The LORD their GOD, The GOD of Israel. And we are faced with the same snares today. GOD chose Israel to be a holy people, to be a special people unto Himself above all people that are upon the face of the earth. That is an unbreakable Covenant that GOD made with Israel and the Jewish people 3,400 years ago. And the Jewish people are required to love The LORD their GOD, and keep His Commandments, GOD’s Laws that are written in The Law of Moses forever. Even when Israel and the Jewish people fail on our part of the Covenant and do not obey GOD, GOD never abandons His part of the Covenant. GOD will never cast away His people. Yes, GOD does punish us from time to time for our disobedience, but He never ceases from being our GOD. And we are His people forever. (ROMANS 1.7) The Romans are not Jewish. (ROMANS 11.16) The firstfruit is the firstfruit of the bread offering offered to The LORD. (ROMANS 11.17) There are some Jewish people who might not enter the Kingdom of GOD because of unbelief in their Messiah Yeshua, Who is The Holy One of Israel. Or because of their refusal to obey Torah, GOD’s written Law of Moses. They are cut off from Israel, perhaps permanently or temporarily. And certain Gentiles, being a wild olive tree, having faith in Messiah Yeshua, who love GOD, and keep His Commandments and Laws written in The Law of Moses, are grafted in to GOD’s Covenant People, the Jewish People. Faith in Messiah Yeshua, and obedience to Torah, GOD’S Laws that are written in the Law of Moses are GOD’s requirements to be grafted in to HIS Chosen People..
And you partake in the root, Who is Messiah Yeshua, The GOD of Israel. And you partake in the fatness of the olive tree. The olive tree being Israel and the Jewish people. And you participate in all the blessings of GOD, Salvation, eternal life, all GOD’s promises, all GOD’s covenants, and all GOD’s goodness. That is New Testament teaching for non-Jewish people to enter the Kingdom of Heaven. By doing the will of GOD in Heaven. Having faith in Messiah Yeshua. That delivers you from all your sins. And obeying GOD’s Commandments and Laws that are written in The Law of Moses. That is the Word that comes forth from The LORD. That is Biblical Salvation taught by The LORD YOUR GOD. Posted on April 27, 2014 March 24, 2015 Categories Shabbat Message2 Comments on ARE YOU GRAFTED IN? Shalom. Our teaching this morning is from Exodus 34.6-7, and we have a title for this morning’s message; GOD keeps mercy for thousands. When Moses came down from Mt. Sinai the first time after his visit with The LORD GOD of Creation for 40 days, and 40 nights, carrying the two tables of stone with the Ten Commandments written on them by the Finger of GOD, and seeing the great sin of the Children of Israel offering burnt offerings and peace offerings to the golden calf, and eating and drinking and playing before it, Moses smashed the two tables of stone in furious anger. And he burned the calf in the fire, and ground it into powder, and tossed it on the water, and made the people drink it. And Moses returned to The LORD in Mt. Sinai, and asked The LORD to forgive His people. And if not, he said, blot me out of Your Book of Life that you have written. And GOD said to Moses, “Whosoever has sinned against Me, him will I blot out of My Book. Therefore, go and lead the people to the place of which I have spoken to you.” That place was the Land of Canaan that GOD renamed the Land of Israel after the Children of Israel conquered it. And again GOD called Moses up to Mt. Sinai. Carve two tables of stone like the first, GOD said to Moses, and I will write upon these stones the words that were in the first tables that you broke. GOD wrote the Ten Commandments a second time. And Moses went up to Mt. Sinai the third time to the top of the mountain 7,500 feet high to meet with GOD. And The LORD descended in a Cloud, and stood with Moses there, and proclaimed The Name of The LORD. And The LORD passed before Moses and proclaimed His Name, Yehovah. And The LORD told Moses the Way of GOD. And this is the Way of The LORD. The LORD GOD is merciful, meaning compassionate, caring, He is concerned about us. Warm, tender loving, merciful and kind. The LORD OUR GOD is gracious. He is merciful, compassionate, kind, forgiving and generous. He is benevolent, and good, and He helps us in time of need. And our GOD is longsuffering. He is patient with us, and slow to anger. He is abundant in goodness and truth. Mighty in kindness and beauty, and truth. GOD is truth. Every word GOD speaks is truth. And His truth and His word of truth never change. Isaiah 40.8. And we can always rely on Him, always. And He forgives iniquity, transgression and sin. And that will by no means clear the guilty because GOD will visit the iniquity of the fathers upon the children and upon the children’s children to the third and fourth generation. That is the Way of GOD, merciful and gracious, longsuffering, and abundant in goodness and truth. Forgiving iniquity, transgression and sin. And here are more wonderful characteristics of GOD. (Isaiah 25.7) The covering cast over the people is the curse of which GOD has cursed the ground. And GOD will destroy that curse. Genesis 3.17. (Isaiah 25.8) There will be no more death or sorrow, and GOD will not find fault with His people Israel anymore. ISAIAH 26.2-4, 7, 12, 19-21 More characteristics of GOD. (Isaiah 26.2) The Righteous Nation is a Gentile who is Righteous because he or she obeys all GOD’s Laws that are written in The Law of Moses. (Isaiah 26.7) Just and Righteous are words that refer to those who obey GOD, and His Laws that are written in The Law of Moses. (Isaiah 26.20) GOD will protect us during the great tribulation. EXODUS 34.7 But GOD only keeps mercy to thousands. He keeps His mercy and goodness to thousands only. So Why does GOD keep mercy Only for thousands of people when there are billions of people living in the world? The Bible is written by Jewish people for all the world, for all the Nations. And The Bible from Genesis to Revelation explains to the world how to have a correct relationship with GOD, and how to have a bad relationship with GOD. And when GOD wrote the Ten Commandments on the two tables of stone, He told the world Why He only keeps mercy to thousands. GOD keeps mercy to thousands of people who love Him, and keep His Commandments. That is how you have a correct relationship with GOD. Loving HIM and keeping His Commandments. And GOD’s mercy will remain with you. Now millions and billions, and over the generations perhaps trillions of people claim to love GOD. But how many keep His Commandments? Not many. Thousands as The LORD says. GOD does not have one law for Jewish people, and another law for Christians, and another law for Moslems, and so on. GOD has One Law for His entire creation. And GOD’s One Law is The Law of Moses. And only thousands obey it. It’s sad. It’s very sad. Not obeying GOD was first taught in the garden of Eden when the serpent told Eve, You will not surely die if you eat the fruit that GOD commanded you NOT to eat. In fact, by disobeying GOD, satan told Eve, you will be like GOD knowing good and evil. And the lie taught to disobey GOD’s Laws continue to this day with a myriad of false Bible teachers teaching their people not to obey GOD. And here are some examples that express how much GOD hates sin, not listening to Him, and not doing what He says, or hearing His Words and not doing them. e world in the days of Noah by a flood. Why? Because of sin. Just like today, the world disobeyed GOD. They disobeyed His Laws. (Genesis 6.5) Wickedness and evil in Hebrew are RAH meaning wrong, not according to GOD’s Laws. The world disobeyed GOD just as they do today. (Isaiah 24.5) Because they transgressed The Laws. Meaning the majority of mankind disobeyed GOD’s Laws written in The Law of Moses. Broken the Everlasting Covenant. They have broken and violated GOD’s Word. And finally, after the 1,000 year Millennium, satan who is locked up during the 1,000 year period will be released. And he will again deceive the nations. EXODUS 34.7 How do you prevent GOD’s punishment from coming upon you? That is, GOD visiting the iniquity of the fathers upon the children, and upon the children’s children unto the third and fourth generation, since all have sinned by violating GOD’s Law of Moses, and come short of the glory of GOD. How do you prevent GOD’s punishment from coming upon you? The first part of the answer is known by most Christians, but few Jewish people. GOD requires atonement for our sins. And atonement for our sins comes only from belief and faith in Messiah Yeshua. BUT IT DOESN’T END THERE. IT DOES NOT END THERE. When you come to faith in Messiah Yeshua, GOD puts His Law in your mind, and writes them in your heart. Why? To obey Him. Yes. Obeying GOD is obeying HIS Law of Moses. Whether you are Jewish, Christian, Moslem or another Religion, or no Religion. GOD puts His Law in your mind when you come to faith in Messiah Yeshua, and He writes it on your heart, TO OBEY HIM. AND THAT IS CRUCIAL. You must get in line with GOD and do what He requires of you. REPENT. And so few know what REPENT means, and what GOD requires of you when you do REPENT. Listen. Repent means TURNING FROM YOUR SINS OF DISOBEYING GOD AND HIS LAWS THAT ARE WRITTEN IN THE LAW OF MOSES, AND TURNING TO GOD, AND OBEYING HIM BY OBEYING ALL HIS LAWS THAT ARE WRITTEN IN THE LAW OF MOSES. And GOD’s Laws are not difficult. And by faith in Messiah Yeshua, and obeying GOD and His Law of Moses, not only will you have a relationship with GOD The Messiah, No GODly punishment will ever come upon you, and you become part of the thousands with whom GOD keeps mercy. So Repent means turning from your sins of violating GOD’s Law of Moses, and turning to GOD and obeying Him by obeying His Laws that are written in The Law of Moses. And there are great blessings from GOD when you repent and turn to Him. But not turning to GOD and His Law of Moses brings on big time troubles. DEUTERONOMY 28.1-68. So here are five steps for GOD to passover you and not punish you for your sins and the sins of your fathers. STEP 1 Believe in Messiah Yeshua for atonement, forgiveness of all your sins. STEP 2 Is GOD’s part of your repentance. He has put His Law in your minds, and wrote them in your hearts when you came to faith in Messiah Yeshua. So obey Him; all His Laws in The Law of Moses. STEP 3 Now you are born again, walking in newness of life. You no longer continue to live in sin, but you live in righteousness obeying GOD and His Laws that are written in The Law of Moses. Look, every prophet and prophetess of GOD, and every disciple and apostle of Yeshua obeyed all GOD’s Laws in The Law of Moses. If they refused, GOD never would have chosen them. STEP 4 Continue living your life in righteousness according to GOD’s Law of Moses forever. John writes in 1 John 5.3, GOD’s Commandments are not hard. And that is how GOD will clear you of all your sins, and not visit the iniquity of your fathers upon you. And you will be counted with the thousands with whom GOD keeps mercy. GOD HAS RAISED UP A PROPHET, YESHUA THE MESSIAH, LIKE MOSES. Shalom. Our teaching this morning will be from Exodus 33.20-23 & Exodus 34.1-5. And the title of our message is, God has raised up a Prophet, Yeshua the Messiah, like Moses. EXODUS 33.20 Last week we addressed this verse where The LORD said to Moses, “You cannot see My Face, for there shall no man see Me and live”. GOD is also The Spirit, The Holy Spirit, The Glory of GOD, The Shikynah, The Presence of GOD, The Fire in the bush that did not consume when Moses first met GOD. GOD appeared as the Cloudy Pillar that stood at the door of the Tabernacle, the Fire in the wilderness that gave light to the people at night, the Cloud that led the people in the wilderness by day. And that by no means is a complete record of GOD’s manifestations, His appearances. But there is another manifestation of GOD that cannot be seen. GOD says, “You cannot see My Face, for there shall no man see Me and live”. That which cannot be seen is GOD’s Spiritual Nature that Heaven, and the heaven of heavens, and earth cannot contain. GOD’s Spiritual Essence, the fullness of His Glory cannot be seen lest we die. GOD is Spirit. Those are the words of Yeshua The Messiah in John 4.24. GOD’s Spiritual Presence is everywhere, in everything, in everyone. GOD fills His entire Creation that has no end. Psalm 113.4 reads, The LORD is high above all nations, and His Glory, that is His Magnificence and Splendor, above the heavens. No one can escape The Presence of GOD. GOD is acquainted with the ways of every living creature. GOD has no limits. He is beyond awesome. Nothing is too hard for GOD. Nothing is impossible for The Lord. But GOD’s Spiritual Being cannot be seen lest we die. (Zechariah 14.12) The enemies of Jerusalem will consume away when they see the blazing Glory of GOD in His fiery brilliance of devouring Fire that no man can see and live. They will melt away. And GOD said, Behold, there is a place by Me, and you shall stand upon a rock and it shall come to pass while My Glory passes by that I will put you in a cleft of the rock, an opening in the mountain, and I will cover you with My Hand while I pass by. And I will take away My Hand and you shall see My back parts. But My Face shall not be seen. Moses saw a very small part of GOD’s Glory, His magnificent Spiritual Essence. EXODUS 34.1 Question. Was GOD speaking Face to face with Moses, or did Moses hear GOD speaking to Him in his mind? I don’t know. GOD said to Moses, Carve two tables of stone like the first, and I will write upon them the words that were in the first tables of stone that you broke in pieces. That Moses did when he saw the Children of Israel eating, drinking, and playing before the golden calf and calling it the god of Israel. The Ten Commandments are the first laws that GOD gave to Israel. But GOD also wrote in the Ten Commandments that He shows mercy unto thousands of them that love Him and keep His Commandments. GOD’s Commandments are all GOD’s Laws that are written in The Law of Moses. Thousands are a very small number of people who keep GOD’s commandments, His Law of Moses. And they prove their love for GOD and Messiah Yeshua, John 14.15, by living their lives according to the Laws of GOD. They are blessed for keeping His Law along with their faith in Messiah Yeshua. They cleanse their way by taking heed according to GOD’s Word. They keep GOD’s Laws continually forever and ever. They walk at liberty, free from sin by keeping His Laws. GOD’s Word is our comfort in affliction. GOD deals well with those according to His Word. The Law of GOD’s Mouth is better than thousands of gold and silver. For GOD’s Law is our delight. And we hope in GOD’s Word. Forever, O LORD, Your Word is fixed and established in Heaven. How sweet are GOD’s Words to our mouth. Sweeter than honey. You have commanded are righteous and very faithful. Your righteousness is an everlasting righteousness, and Your Law is The Truth. Concerning Your Laws, I have known that You have founded them forever. Salvation is far from the ungodly because they do not seek Your Laws. Great peace have they which love Your Law and nothing will cause them to fall. My tongue shall speak of Your Word, for all Your Commandments are righteous. The LORD shall protect you from all evil. He shall guard your soul. The LORD shall guard your going out and your coming in from this time forth, even forever. These wonderful words are from Psalms 119 and 121. EXODUS 34.1-2 Moses was eighty years old at the time, and he was in pretty good shape to climb that mountain, Mt. Sinai to the top a second time to meet with GOD. Mt. Sinai is 7,500 feet to its peak. As a comparison, Mt. Charleston here in Las Vegas is 12,000 feet high. EXODUS 34.4 Moses was also pretty strong at 80 years old to climb 7,500 feet up the mountain carrying the two tables of stone on which GOD again would write the Ten Commandments. And Moses was in good health. We don’t read of him being sick at any time. And good health is a gift from GOD for obedience to The LORD by keeping His Laws that are written in The Law of Moses. EXODUS 34.5 When Moses had climbed to the top of Mt. Sinai, The LORD descended in a Cloud, and stood with Moses there. And proclaimed His Name, YEHOVAH, LORD. Moses, like David was a man after GOD’s own heart; both lived their lives according to GOD’s Word and Law. Here are some key similarities: Both Moses and Messiah Yeshua are Jewish. Both are prophets, Matthew 21.11. Both performed miracles. Both are deliverers, Moses delivered the children of Israel out of Egypt, Messiah Yeshua delivers us from sin by being our Atonement. Both obeyed GOD, His Word, His Commandments and His Law of Moses. Moses is the Lawgiver who gave The Law of Moses to Israel, and the nations through The Bible. Yeshua is GOD Who gave The Law to Moses. Both Moses and Yeshua taught The Law. Matthew 4.4 Luke 4.4, Matthew 12.18, etc. Both were hated. Yeshua was hated and killed. That was GOD’s Plan for Messiah to be our Atonement. Moses had his troubles with jealous people throughout the forty years in the wilderness. Moses introduced the animal sacrifice for atonement. Yeshua is our Sacrifice for Atonement. Both were chosen by GOD for their ministries for GOD’s purpose; Moses to lead Israel out of Egypt, and receive and publish GOD’s Laws. Yeshua is chosen to be our Atonement for the forgiveness of our sins. Moses was the King of Israel at his time when he led the children of Israel out of Egypt. Yeshua will be King of Israel, and King over all the earth when He returns. This is a very important teaching by Paul of critical importance because much of the world is being taught another Jesus. How, you might ask? Because there is NO LIKENESS of Moses with the Jesus that is being taught today. There are ZERO SIMILARITIES with Moses and the Jesus that is being taught today. Most of the world is being taught another Jesus, and like Eve, they have been tricked by the serpent. How, you might ask? Moses received GOD’s Laws from GOD called The Law of Moses, for Israel and the Nations. And Moses taught the people how to live a GODly life pleasing to GOD. The Jesus being taught today is another Jesus, because the Jesus being taught today is a Jesus who has ELIMINATED GOD’s Laws. He has ELIMINATED The Sabbath, he has ELIMINATED the Festivals of GOD, and he has ELIMINATED GOD’s food laws. The Jesus being taught today is another Jesus who has ELIMINATED The Word of GOD. There is absolutely NO LIKENESS between the Jesus being taught today and Moses. And those receiving that false teaching are being tricked by the serpent as Eve was tricked. Posted on April 13, 2014 March 24, 2015 Categories Shabbat Message18 Comments on GOD HAS RAISED UP A PROPHET, YESHUA THE MESSIAH, LIKE MOSES. YOU CANNOT SEE MY FACE AND LIVE. Shalom. Our teaching this morning will be from Exodus 33.12-20, but we will start with verse 11. And we have a title for the message; You Cannot See My Face and Live. The time is immediately after Moses returned to the People from spending 40 days and 40 nights in Mt. Sinai with GOD. And when Moses came down from the mountain carrying the two tables of stone with the Ten Commandments written by the Finger of GOD, and seeing the great sin of the People, the graven image called the golden calf, Moses smashed the two tables of stone, and GOD was furious with the People. For the Children of Israel had said concerning the idol, this is your god O Israel. Three thousand Jewish men were killed by the sword at the command of The LORD GOD. And Moses returned to GOD in the mountain, and asked The LORD to forgive His people, and if not, Moses said, blot me out of the Book of Life. But GOD said, whosoever has sinned against Me, him will I blot out of My Book. Therefore GOD said, Go and lead this people to the place of which I have spoken to you. That place is Canaan. Today Israel. EXODUS 33.11-12 GOD said to Moses, I know you by name, and you have also found grace in My sight. Grace in Hebrew is KHAYNE meaning love, and kindness, and accepted. Thus GOD looked upon Moses with love, and kindness, and GOD accepted Moses. Remember, Moses is the giver of GOD’s Laws known as The Law of Moses. And GOD’s Laws are for Israel and all the nations. And Moses speaking Face to face with GOD as a man speaks to his friend said to The LORD, you have not let me know whom you will send with me… And GOD answered Moses a little later on. EXODUS 33.13 And Moses asked The LORD, Show me now your Way. The Hebrew word for Way is DEH’REKH. Moses asked GOD, Show me Your way, show me Your way of life, the way You think, Your way of dealing with mankind, and Your way of dealing with sin. Remember, sin is breaking GOD’s Laws that are written in The Law of Moses. 1 John 3.4. So let’s look at some of the ways of GOD that GOD Himself tells us openly in The Bible. My Commandments in Hebrew is MEETS’VO’TAHY, meaning GOD’s Commandments, especially GOD’s Laws that are written in the Law of Moses. In the Ten Commandments, GOD tells mankind, that He shows mercy to thousands of them who love Him, and keep His Commandments, His Laws written in The Law of Moses. That is the Way of GOD. Yeshua said similar words in JOHN 14.15. DEUTERONOMY 7.9 The Way of GOD is that GOD is a faithful GOD. You can trust Him, and believe Him, and know that GOD is true. His Word is true. And GOD is loyal to you. You can depend on GOD always to help you. And GOD will always defend you. That is GOD’s Way to those who love GOD and prove it by keeping His Commandments, His Meets’vote that are written in The Law of Moses. EXODUS 33.14 So GOD’s answer to Moses’ request, You have not let me know whom You will send with me. GOD answered, My Presence shall go with you, and I will give you rest. My Presence in Hebrew is PAH’NY, meaning I, The LORD GOD Almighty will go with you. 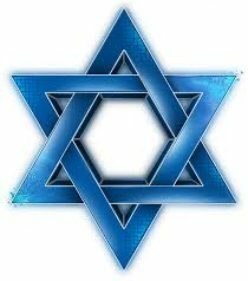 Israel and the Jewish People are GOD’s People. And GOD said to Moses, and I will give you rest. Rest in Hebrew is NOO’AKH. Noah’s name in Hebrew is NO’AKH which also means rest, and comes from the Hebrew NOO’AKH that means rest and comfort. It’s widely known that GOD saved and delivered Noah and his family of eight including himself from the flood that wiped out the entire world’s population at the time. But few know why GOD saved Noah and his family from destruction? Because Noah was a just man, and perfect, and he walked with GOD. GALATIANS 3.7 For those outside of Judaism to be the children of Abraham, you must be like Abraham. Believing in GOD, and today believing in the Biblical Messiah Yeshua Who is The One GOD. Obeying GOD’s Voice. Every Word He speaks. And keeping GOD’s charge, His instructions, His teachings, and His Laws that are all written in The Law of Moses. And The Law of Moses includes belief and teachings of The Messiah Yeshua Who is Elohim Yehovah, Hashem. And those who are of faith are obedient to the words that come forth from The LORD, and do them. EXODUS 33.15 Unless you personally go with us, Moses said to GOD, don’t make us go up from here. EXODUS 33.16 And Moses said to GOD, How shall it be known that I have found Your Grace, I and Your people unless you go with us. That is what separates us, or sets us apart from all the people that are upon the face of the earth. Why has GOD separated Israel from the nations? and keeps GOD’s Statutes, His Law of Moses. Yes, Israel and the Jewish people are not perfect, but The Torah, The Law of Moses is the foundation for the laws of Israel and the Jewish People. All the other nations, including the United States have eliminated GOD’s Laws. EXODUS 33.17-18, VERSE 18 Show me Your Glory, Moses asked GOD. Glory in Hebrew is KAH’VODE, a Hebrew word meaning great splendor, glory, beauty and magnificence. And GOD’s Glory fills Heaven and earth. GOD’s Glory transcends the universe. EXODUS 33.19 And GOD said to Moses, I will make all My goodness pass before you. All GOD’s goodness, if it was written, even the world itself could not contain the books that would have to be written. John wrote similar words about Yeshua The Messiah, in John 21.25. GOD is sovereign. He determines everything Himself. He will be gracious to whom He will be gracious, and will show mercy on whom He will show mercy. I believe that GOD is gracious and merciful to those whom He has chosen, whom He has chosen to believe in Messiah Yeshua, who hear GOD’s words that come forth from The LORD and do them. GOD will be gracious to them, and He will be merciful to them. GOD is sovereign. Moses spoke to GOD for 40 years Face to face. Abraham, Isaac and Jacob, and others, many others saw The LORD. They saw The Face of GOD. Yeshua The Messiah Who is The LORD GOD, Elohim, Hashem, The One GOD spoke Face to face with the Jewish People and others in Israel for years. Yet GOD told Moses, you cannot see My Face, for no man shall see Me and live. Genesis 18.1, Genesis 26.2, Genesis 32.30, Exodus 33.11, Isaiah 6.1, John 7.14, etc. And that brings to mind Genesis 1.1 and Deuteronomy 6.4 that tell of the plurality of The ONE and only GOD. Deuteronomy 6.4 reads, Hear O Israel, The LORD our GOD, The LORD is One. The Hebrew word for one is EH’KHAD which is plural in its meaning, such as one, alike, the same, one and the same. Thus GOD is ONE in His plurality of His many manifestations, His appearances. There is only ONE GOD and there are no others. Genesis 1.1 reads, “Elohim created the Heaven and the earth.” Elohim is a plural word for GOD meaning GODs, G-O-D-s. But there is only ONE GOD and no others beside Him. Yet GOD calls Himself Elohim, a plural word for GOD. The One GOD has revealed Himself openly to men and women as The Father, Yehovah or Jehovah or Yah or Hashem. He revealed Himself as The Son Who is The Messiah Yeshua. Often He has shown Himself as The Son of Man, an Angel, an Angel of The LORD, the Angel of GOD. And those who saw GOD in those appearances saw GOD’s Face. But His appearances are not the fullness of GOD’s Spiritual Being and Nature that fills Heaven, and the Heaven of Heavens and earth. There’s a whole lot more to GOD. The ONE GOD of Creation is also The Spirit, The Holy Spirit, The Glory of GOD, The Shikynah, The Presence of GOD, the Fire in the midst of a bush when Moses first met GOD, the Cloudy Pillar that stood at the door of the Tabernacle, the Fire in the wilderness that gave light to the people at night. All the appearances of The ONE GOD of Creation. And of course the people did not see GOD’s Face in those manifestations. GOD is ONE, EH’KHAD, plural. And GOD is ELOHIM, plural, but ONE GOD. All are the ONE GOD, ONE and the same. But there is another manifestation of GOD. His Spiritual Being. His Spiritual Essence that fills Heaven and earth. GOD fills eternity. GOD has no measure. GOD has no limits. GOD is not contained. GOD is not contained in space. GOD fills everything, everywhere. The Spiritual Nature of GOD cannot be seen, because GOD says, You cannot see My Face, for no man shall see Me and live. In closing, let’s look at some interesting Scriptures about the Mighty GOD, The Everlasting Father, Yeshua The Messiah The King. Isaiah 9.6, (Hebrew Scriptures Isaiah 9.5). ISAIAH 57.15 Eternity in Hebrew is AHD, meaning forever, without end, beyond limits, beyond space, beyond human understanding. Thus, no man can see the Spiritual Nature of GOD that fills Heaven and earth and live. No man can see GOD’s Face, for no man shall see GOD and live. Posted on April 6, 2014 Categories Uncategorized4 Comments on YOU CANNOT SEE MY FACE AND LIVE.